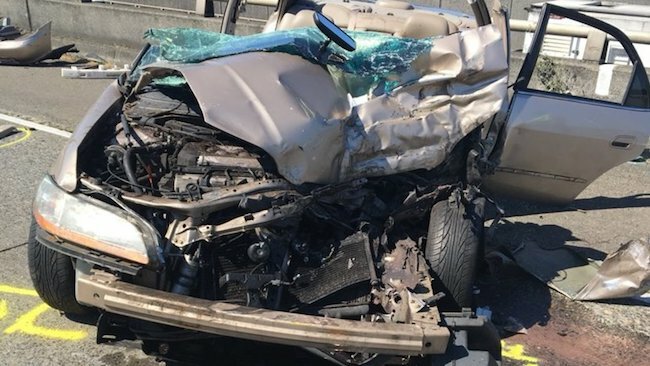 A man and a 4-year-old boy were seriously injured when their car rear-ended a Metro Bus on the I-5 Express Lanes in Seattle on Tuesday morning, according to the Washington State Patrol. The collision occurred around 9:30 a.m. near Roanoke Street. WSP says 4-year-old was not restrained. Both the 28-year-old man and boy were trapped in the wreckage and had to be freed by firefighters. Both were taken to Harborview Medical Center. Metro says about 30 passengers were on the Route 312 bus. There were no reported injuries. The crash created a backup for several miles. The scene was cleared around 11 a.m. The cause of the crash is not yet known. The accident remains under investigation. According to The Journal of Pediatrics, 43 percent of the children who die in a car accident are unrestrained or improperly restrained, and 13 percent are inappropriately seated in the front seat of the car. For children between the ages of 1 and 12, the leading cause of death is car accidents. 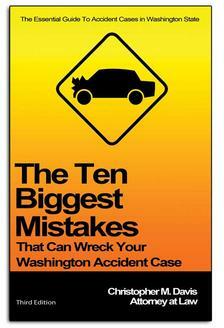 Additionally, car accidents result in 140,000 hospital visits every single year. It is extremely important that each child injury case be analyzed thoroughly to determine if it is economically feasible to take it on. Injuries and emotional damage may not be visible to the naked eye. Child injury cases require a vast amount of time and resources, and a thorough and complete evaluation of medical records will establish the severity of the injury and/or disability and ensure an accurate estimate of the amount of compensation that can be recovered. For a free case evaluation, contact attorney Chris Davis and the team at Davis Law Group, P.S., today. Since 1994, Mr. Davis has been providing honest and top-notch legal advice to clients severely injured due to the negligence of others. Call (206) 727-4000, use the chat feature below or fill out the form below to get started.